You, yourself, are the eternal energy which appears as this Universe. You didn’t come into this world; you came out of it. Like a wave from the ocean. We’ve come to the final post in this Chakra Levels series; if you missed the prior posts they are listed at the bottom of this post, and also on the Chakras page. This innermost, core level of the chakras is really what chakra work is all about – this is where the light springs forth from. At the center of every chakra is a direct doorway to Source light, and when these doorways are open, this light flows through us as divine expressions of our highest aspects – pure love, compassion, wisdom, creativity, vision, power, and connectedness. Bringing forth this light is the essence of every spiritual practice aligned with spiritual awakening, whether the chakras are actually utilized or not. This light is our true nature, and as we attune our mind, physical bodies, and subtle bodies to its vibration, we transform from the inside into beings of pure light and awareness. In most cases, when someone talks about opening or aligning the chakras, they are referring to one or both of the first two levels – the physical or psychological levels. Working at the first level involves aligning our physical vibration with chakra vibrations using our senses – sight, sounds, foods etc. aligned with each chakra. Working at the second level involves clearing and working through our limiting emotional patterns – the subtle body blocks that distort the light as it comes through us. Working at the core third level is an entirely different approach – we seek to pull the light through us by going directly to each doorway and throwing it open. As the light makes its way through our subtle body, we are changed – our physical and psychological blocks are washed away like debris in a flood. Sometimes this is a beautiful release. Sometimes it is a little more complicated, as we aren’t quite ready to let go of certain parts of ourselves, or encounter other forms of inner resistance. But either way, it’s tremendously powerful! Work at this inner level is explicitly spiritual. While working at the first chakra level is really a form of energy healing, and working at the second level is about personal/psychological growth, this third level is about enlightenment. Of course, someone might work on all three levels, and in fact, in spiritual traditions in which chakra meditation is integral, they usually are. Working on only this third level can lead to disassociation or escapist tendencies, as the blisses released when this inner doorway of the chakras is open can be very captivating. It’s possible to get addicted to these blisses, and avoid the physical and psychological healing and growth required to truly awaken. Working holistically on all three levels is a way of assuring balanced growth towards true liberation. The most well-known spiritual traditions that incorporate this type of work are kundalini-based, and include meditations, exercises, and transmissions specifically designed to awaken the kundalini. What the kundalini essentially does is throw open each chakra’s doorway. While this is usually described as a linear process – one chakra at a time from bottom to top – that’s really just a theoretical model. In fact, any chakra may be opened at any time, and each chakra has different levels of opening too, so we often spiral back and forth throughout our lifetimes between chakras, working intensely on the themes and vibrations of one, and then on another. The kundalini and our daily lives interact in a beautiful dance; the choices we make influence where the kundalini moves to – where we are open and where we need to unblock – and visa versa. Although not all spiritual traditions explicitly involve chakra or kundalini work, the mystic arms of most include practices that throw open our subtle body doorways in some way. Whether it’s Sufi whirling, Hindu mantra recitations, Buddhist mandala visualizations, Christian chanting or Jewish Hitbodedut meditation, the emphasis is on shifts in awareness and states of being. Practitioners describe whole body experiences of waves of light, love, power and more. The common theme is the feeling of a greater power coming through, not from, oneself. While I would never want to conflate all religions, even the mystic arms, it’s clear that there is a core process of energetic transformation that mystics across all religions have undergone. How experiences are processed and interpreted in the mind may be quite different, but in the subtle body, a lot of the process is the same. Most spiritual practices and rituals are designed to immerse us in one or more of these energies/states, and through that immersion to awaken the felt-sense of them within us. That felt sense is the associated chakra door opening, and releasing this vibration into us directly from Source. This may happen in little releases, or in giant bursts – epiphanies or ecstatic experiences. The pacing is individual, and doesn’t matter all that much. In the eyes of the universe we have all the time in the world to realize who we really are. Or you could also say, it’s already done! So how it unfolds on this relative plane of our life and practice is somewhat mysterious, and part of the beautiful play of existence. Working at this level is very personal, it is about your personal relationship with spirit/the universe/Source/God/enlightenment/Tao – whatever word you choose to use. As these doorways open within you, you come to know yourself as pure light, love, power and more. While working at the middle, psychological level is also personal, it is on the ego level – our personality, emotional patterns, and mental habits. At this inner level we truly experience ourselves as a conduit for something larger, and as this happens, we realize this is true of everyone else as well. We are all beings of light. Five minutes of truly experiencing this can transform you faster than years of working through your issues. As for ways of calling forth this level, it is not something that can be described in a blog post, or put into a recorded meditation, although reading or hearing something at the right moment may trigger an opening within you. As I mentioned above, the mystic spiritual practices of every religion that I know of contain some methods for opening these doors. And contact with a teacher or guide who has themselves brought this forth will help you to do so too. But there is also an element of grace, of surprise, and we simply have to make ourselves open to these moments, and not let them pass us by when they arise. Pay attention! When you feel in the presence of the divine, embrace it, and take a moment to truly feel how this arises from within you, how it is your very core, even if it seems as if it has come from outside you. Thank you for this series Lisa, I really found it fascinating. 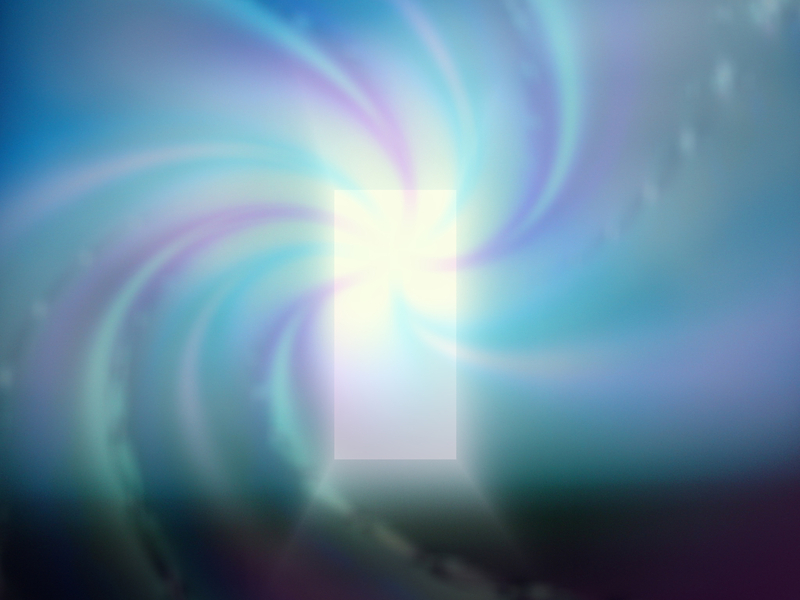 I know in this article you say that there is no recorded meditation for opening up this inner level of the chakras but I do remember a visual you gave us once at a session I went to with you in which we did this- I think white light opening the doorways? Is this ok to do alone? Hi Ann, I’m glad you enjoyed this series. Yes, you’re right I have done meditations that are about opening this inner doorway – the most straighforward is visualizing a small pinprick of white light in the center of each chakra (one at a time) and then imagining it gradually growing larger as you ‘open’ the doorway wider and allow more Source light through. I do think this can be a very powerful meditation. But really these doorways opening is usually triggered by a kundalini tranmission/empowerment, a shaktipat (similar to an empowerment), or simple grace:-) Whatever triggers it, once the kundalini has been awakened, exercises like this one can hasten its movement. Great Alethea, glad you liked it. Thank you for this series! I intend to refer back to it again and again. Every time I read one of your posts I am so thankful we connected! Hi Cate, thanks for commenting on them, I don’t get to visit many blogs these days, so don’t get as many comment backs:-) But this series did have a lot of readers, so I’m glad it resonated. Hopefully going forward we can do more together with kundalini and menopause too – I do want to return to that topic in a future post down the road, there is so much more to explore and share, and you have found so many good resources. Thank you for this article, Lisa. You are an inspiration!